The Rangers knock off top-seeded Lewiston 4-3 to earn a berth in the state championship game. 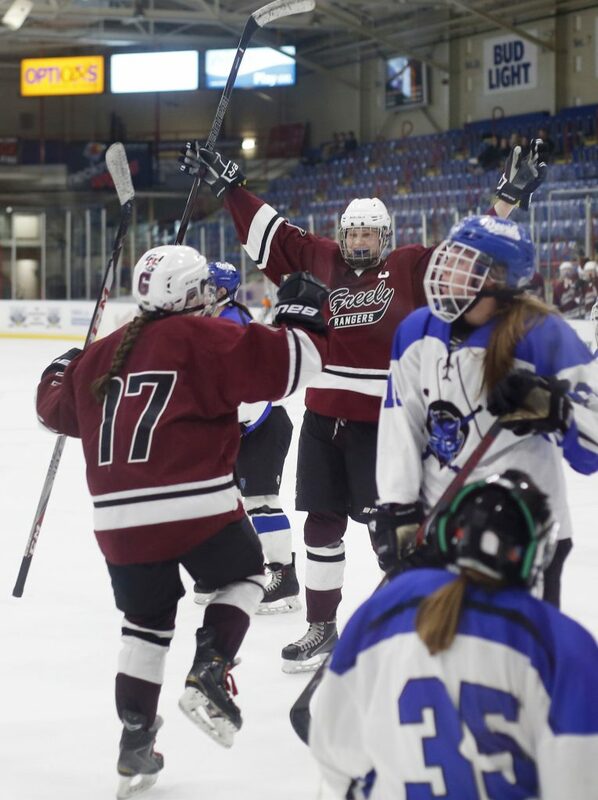 LEWISTON — Sophomore Leah Walker converted a wrist shot from the high slot late in the second overtime Wednesday night to send Greely/Gray-New Gloucester to the girls’ hockey state championship game. 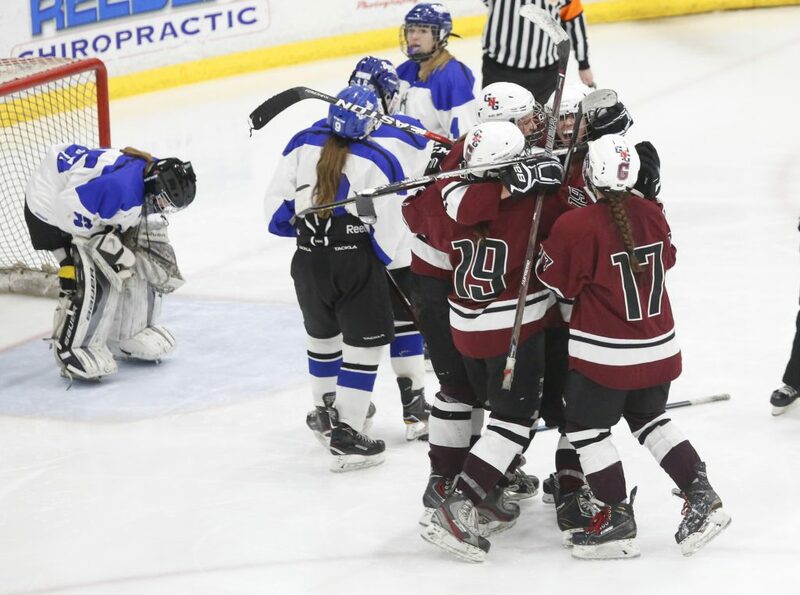 Walker’s goal capped a flurry around the net just over five minutes into the second eight-minute overtime and gave Greely a 4-3 victory over top-seeded Lewiston/Monmouth/Oak Hill in the North final at the Androscoggin Bank Colisee. It was Roberts who disdained dumping the puck back in front. Instead, she circled around and fed Walker for the winning shot, which rippled the upper right corner of the net. 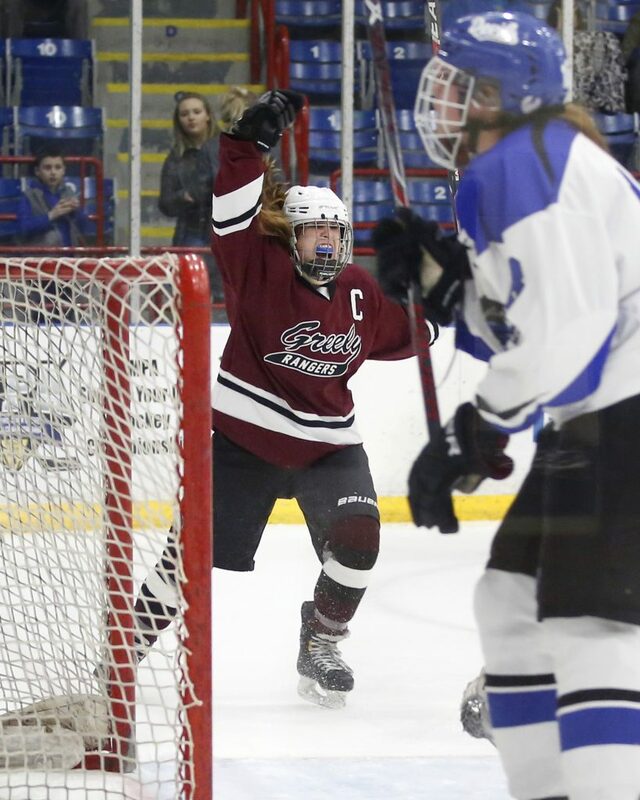 Third-seeded Greely (18-3) advances to Saturday’s state final against South champion Cheverus, an 8-2 winner over Portland earlier Wednesday. 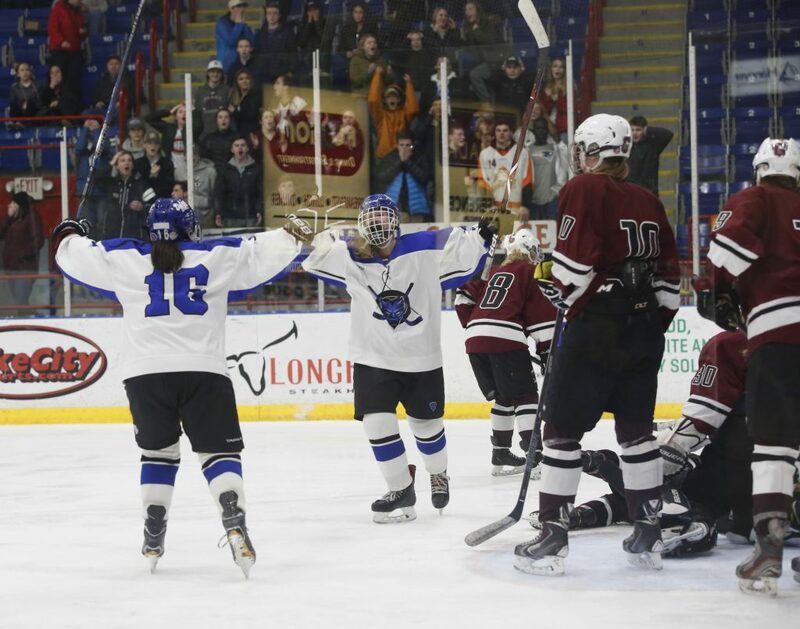 Lewiston (17-3) tied the score with 30 seconds left in regulation and its net empty in favor of an extra skater. Brianne Dube knocked in the rebound of a shot from Sara Robert to force overtime. 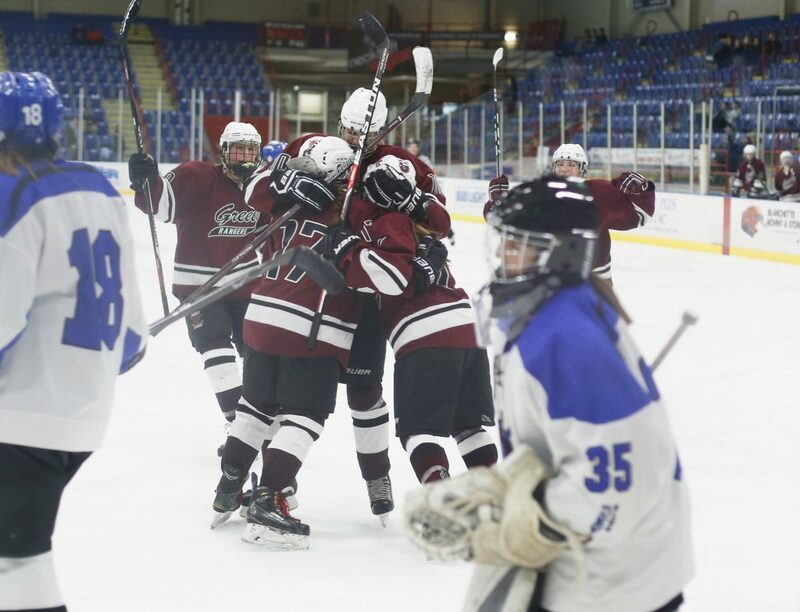 Lewiston beat Greely twice during the regular season, 3-2 in mid-December and 6-1 in late January. 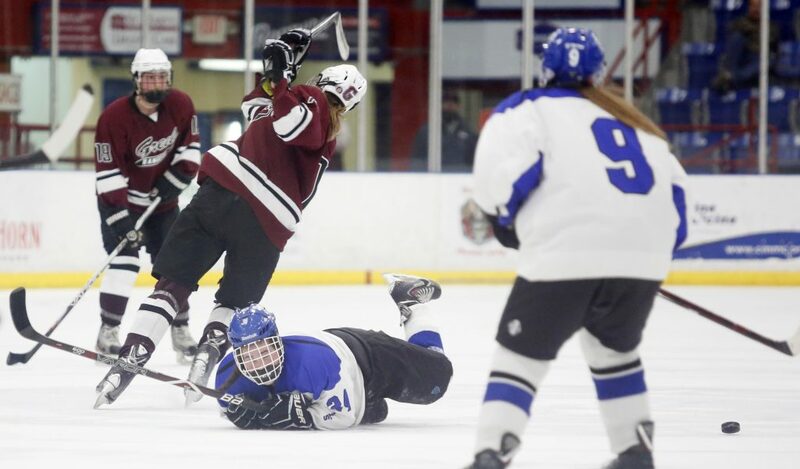 This time, Greely struck first, scoring after only 14 seconds. 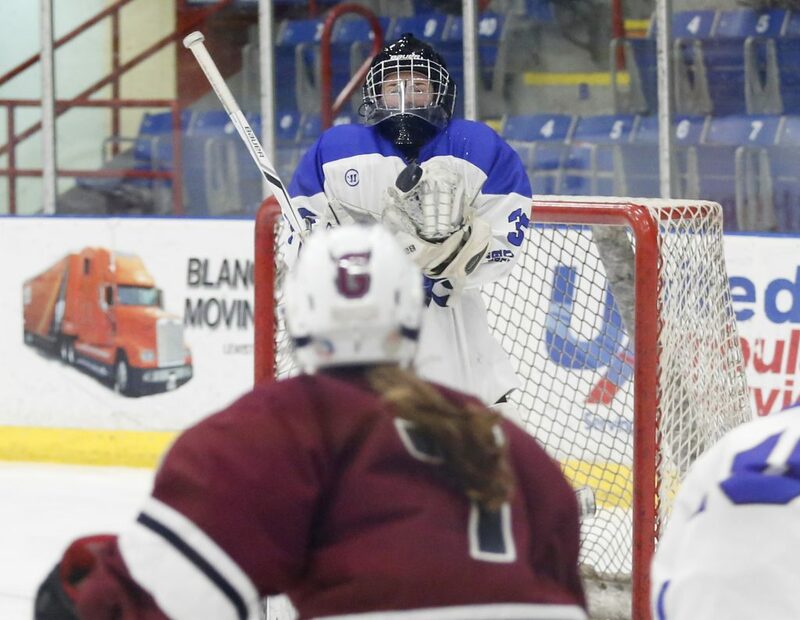 Courtney Sullivan brought the puck down low on the initial rush, and her attempted shot slid beneath the pads of Lewiston goalie Camree St. Hilaire and lingered maddeningly in the crease for a moment before Molly Horton, circling from behind, poked it in. 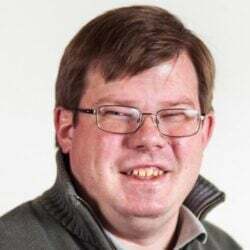 Lewiston tied it with three minutes remaining in the period when Dube waited long enough on a breakaway for Rangers goalie Jordyn Owens to commit, then slid the puck to Jordan Mynahan for a tap-in. 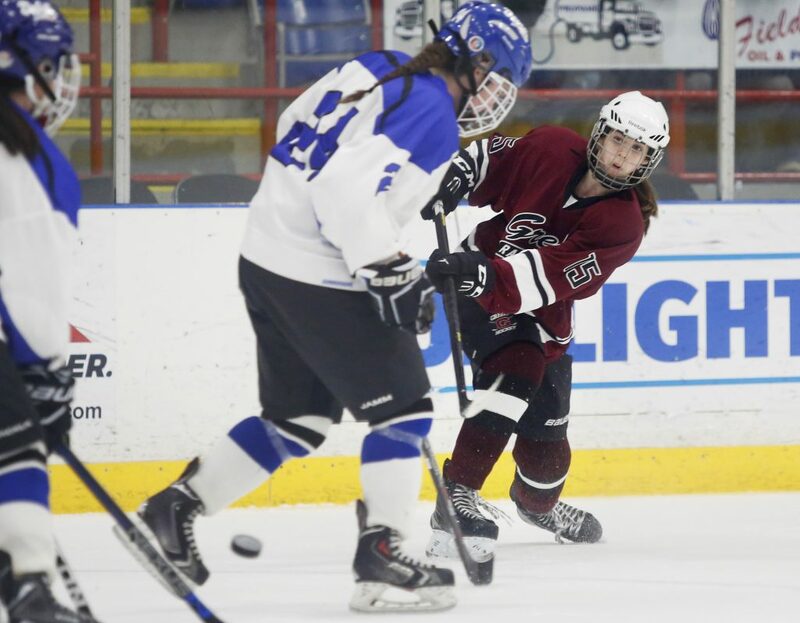 In the second period, Greely again struck in the opening minute, as Sullivan fed Madison Pelletier from the right slot for a 2-1 lead. 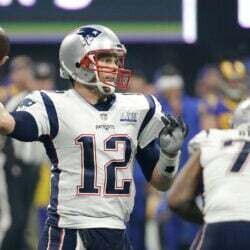 Roberts made it 3-1 on an end-to-end rush that initially seemed an attempt to clear the defensive zone. 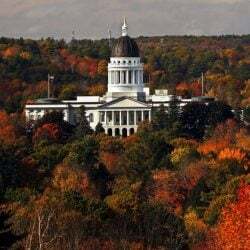 Instead, her bouncer off the boards was briefly gathered by a Lewiston defender, then stolen back by Roberts under a full head of steam. 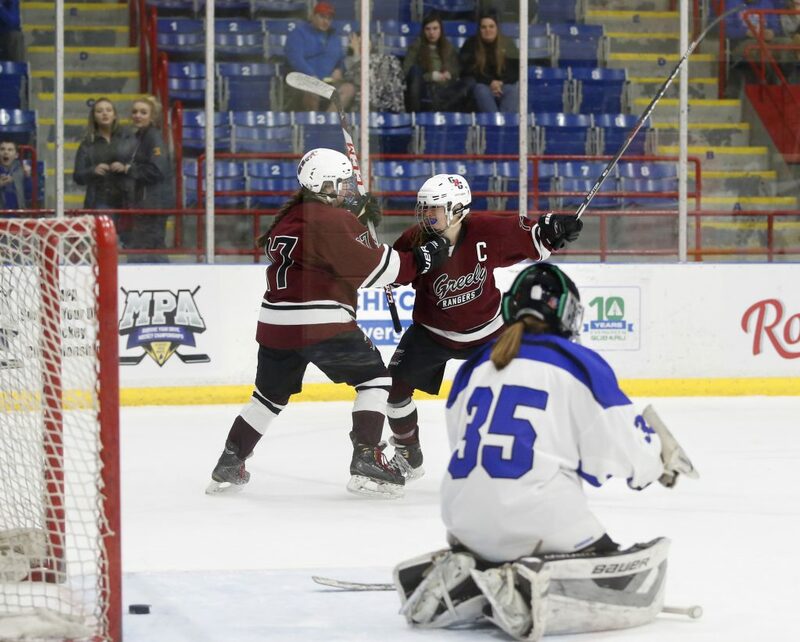 Her goal came less than two minutes after Pelletier’s, and the Blue Devils called timeout, down 3-1. 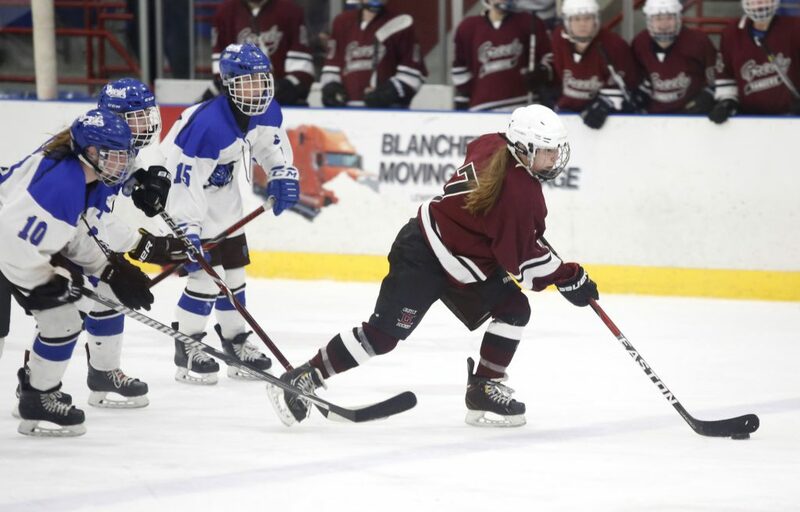 Grace Dumond cut the margin to one with 3:34 left in the period when she gained control just outside the Greely blue line, skated through traffic and flipped in a backhander. The Rangers finished with a 31-19 edge in shots. Owens made 16 saves and St. Hilaire had 27.